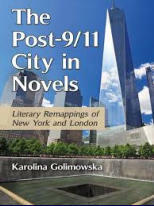 Wissenschaftliche Veröffentlichungen: • Golimowska, Karolina, The Post-9/11 City in Novels - Literary Remappings of New York and London. Jefferson, NC: McFarland, 2016. Print. • Golimowska, Karolina, Isensee, Reinhard and David Rose (Ed. 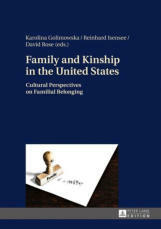 ), Family and Kinship in the United States: Cultural Perspectives on Familial Belonging. Peter Lang-Publishing, 2016. Print. Beiträge in Sammelbänden und Zeitschriften (Auswahl): • “Navigating the Post-9/11 Metropolis: Reclaiming and Remapping Urban Space in Joseph O’Neill’s "Netherland" and Jonathan Safran Foer’s "Extremely Loud & Incredibly Close".” Wilhite, Keith (Ed.) The City after 9/11: Literature, Film, Culture. Madison, NJ: Fairleigh Dickinson University Press. 2016. 25-41. Print. • “The Ambiguity of the Other in the Post-9/11 Novel: Mohsin Hamid’s "The Reluctant Fundamentalist" and H.M. Naqvi’s "Home Boy".”, Witkowska, J., Zagratzki U. (Ed.) Us and Them in Relation to 9/11. Newcastle, UK: Cambridge Scholars Publishing, 2014. 84-98. Print. • “Cricket as a Cure: Post-911 Urban Trauma and Displacement in Joseph O'Neill's Novel "Netherland".” The Journal of American Culture 2013. Volume 36, No. 3: 230–39. Print. • “Transatlantic Miscommunication in David Hare’s Drama "Stuff Happens".” COPAS Current Objectives of Postgraduate American Studies, University of Regensburg, Vol. 13 (2012). Web.